Balmain never ceases to invigorate me. Whenever I feel I've reached a creative slump, Olivier Rousteing will bring out a collection to jolt me wide awake with an embellishment feast for the eyes! With each new collection, I feel more and more inspired to create clothes which are bold, void of any form of restriction. 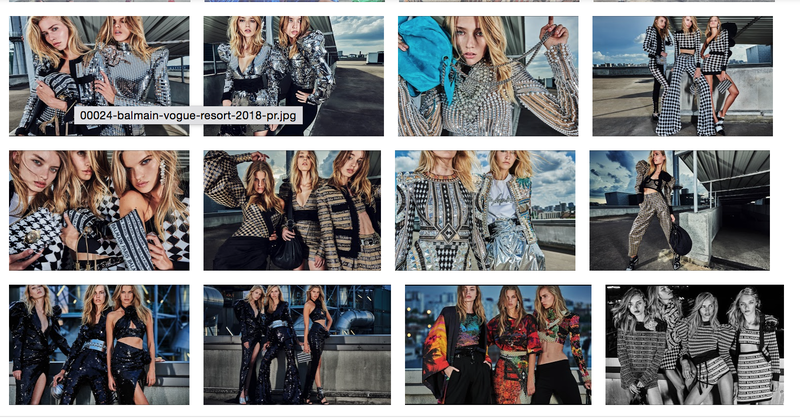 I love everything about this collection from the silhouettes to the low dramatic angled shots and extreme close-ups which have become a running theme in the Balmain campaigns. I absolutely love the way the images draw the viewer in. I also love the way the captured images seem to go from early morning to late night, almost reflectin the versatility of the clothes. 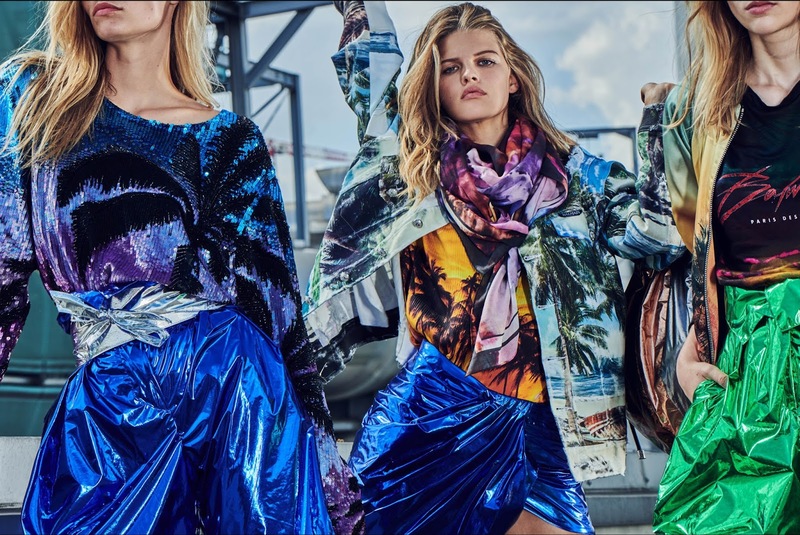 The colour schemes are simply stunning; with the juxtaposition of vibrant foil metallics and tie-dye, watercolour effect. The silver broken mirror effect to what resembles a potato sack, Hessian fabric. I'm not usually a fan of summer fashion as I've often felt like I have to compensate my style to keep my temperature cool. These outfits encapsulate my idea of summer in the UK. While it can get extremely hot, you can never quite rely on the consistency of the weather, so wearing trousers is completely acceptable. Definitely my kind of summer wardrobe. There are 80 images for this collection altogether, so I've chosen a select few of my favourites.